Philadelphia, America’s first capital, is one of the great historical cities, an art-lovers destination — both on the street and in one of the biggest art museums in the country — and offers ample wooded escapes. But if you’re coming to Philly for a long weekend, go for the food. The city is crazy for it — from the perfect cheesesteak to farm-to-table fare — and stands alone in its obsession with craft beer. So, drink, eat, and bask in the brotherly love. Philadelphia is one of the nation’s best beer towns, period. You can plan your visit around Philly Beer Week (in June), but it’s not necessary to see the taps flowing. You could easily spend a full day hitting the dozen or so area breweries, like Dock Street Brewery and its award-winning Cream Ale or Manayunk Brewing Co. and its Bohemian Blonde. Check out the well-lit, modern Tria Taproom for an interesting, rotating selection of beers, or take a seat outside at Memphis Taproom’s cozy beer garden. A must for all lovers of mussels, fries, and Belgium is Monk’s Café, with one of the largest selections of Belgian beers in the country (and one of the few places on the East Coast you can drink, on certain days, Pliny the Younger). 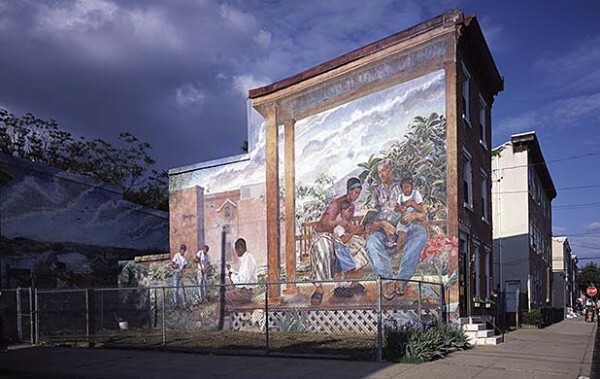 In between pints, walk the streets among the thousands of public murals as well at Philadelphia’s Magic Garden, which has funky art and mosaics spanning a half block along South Street. No trip to Philly would be complete without a cheesesteak. 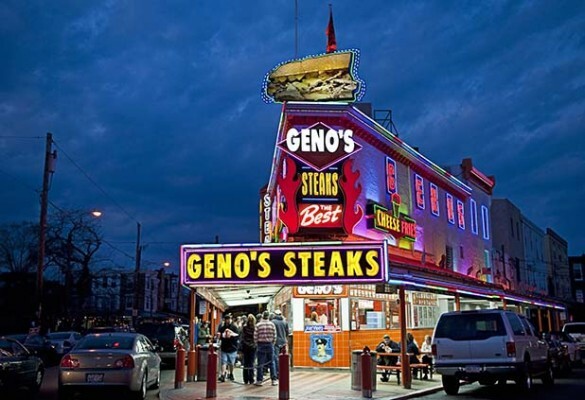 Fortunately there are plenty of places to grab one, but for the best, head to Geno’s Steaks, Pat’s King of Steaks or Jim’s Steaks and order “one whiz with” (meaning with onions and, yes, Cheese Whiz) to sound like a local. One of the best things about Philly is the plethora of BYOB spots splattered all over the city. Try Noord Eetcafe, a Dutch spot in South Philly where the Amsterdam-style beer-steamed mussels abound with scents of fennel, star anise, and basil and the bitterballen (that’s Dutch-fried pork meatballs) with mustard might make you start speaking another language. Or for a more familiar (yet hardly common) farm-to-table approach, hit Helm in Kensington, where the blackboard specials featuring local ingredients changes daily. When you’re craving impeccable Italian, you can’t go wrong at any of James Beard–winning chef Marc Vetri’s restaurants like Osteria for rustic Northern Italian handmade pastas and thin, crispy-crust Neapolitan pizza, or Vetri, a 30-seat spot where you’ll experience a multicourse menu custom tailored to your tastes. Want Israeli fare that will blow your mind but not your wallet? Pop in to Zahav for out-of-this-world hummus, duck and foie gras kebabs, or grilled eggplant with garlic tehina. When you need to cleanse your palate from beer and cheesesteak, Franklin Mortgage & Investment Company, a.k.a. The Franklin Bar, is the craft cocktail program to seek out. Throw caution to the wind and get the seasonal three-course cocktail tasting menu or order one of the cleverly named drinks like the Italian Market (rye, white vermouth, amaro, peach, and long hot pepper), which pays homage to the city’s 9th Street Italian Market, the oldest outdoor market in the country. And when you later need to soak up some of that booze, head to Heffe, a non-traditional chef-driven walk-up taco window in a former gas station in Fishtown, open til 3 a.m. Don’t expect typical pork tacos. Instead order the Mac Daddy (beef cheek with plumb mostarda and red chimichurri queso fresco) or the Kraken (fried octopus with Mexican mozzarella and spicy tomato jam). For an unpretentious, centrally located stay, check out the Alexander Inn. The seven-story boutique hotel is close to many major attractions, has a friendly, helpful staff, and comes with complimentary breakfast and discounted parking. For something more posh, you will never fail by booking at the Rittenhouse Hotel, a historic 116-room tower overlooking tony Rittenhouse Square, where the elegant, spacious rooms offer every comfort you might want. Get back to nature by heading to Wissahickon Valley Park. Located in Northwest Philly, the 1,800-acre urban escape offers fishing, hiking, horseback riding, trout fishing, great photo moments, mountain biking and running — all around 50 miles of rugged trails in the Wissahickon Gorge.